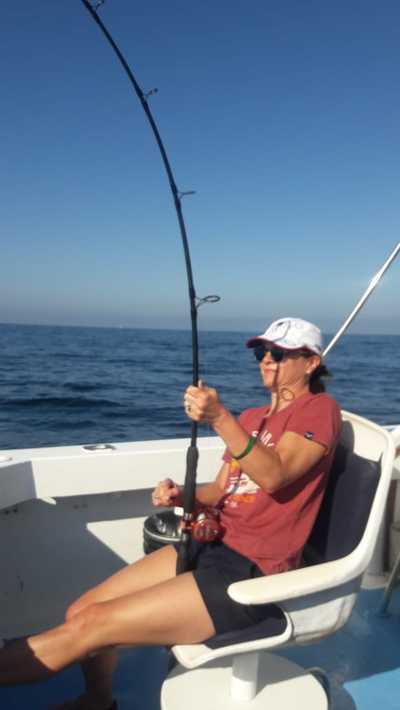 The fishing in Puerto Vallarta is heating up for March as the trade winds bring in all kinds of bait. This last month the water temperature moved up a few degrees. This will bring in the bait fish like sardines and other baits we love to see this time of the year. We’ve been having some incredible days fishing here inside the bay. The month of March is a great month to be here as we have the trade winds that are great to fish on. These breezes bring in the bait fish and cool winds we love to see this time of the year. These are nice breezes that come up every afternoon. We’ve already been seen big schools of bait fishing inside the bay which is attracting a lot of pelagic fish to come in the bay for our fishing charters here in Puerto Vallarta. Most days we are seeing schools of the Yellowtail up to a three hundred in a school. We use lot live bait action for pitch baits which is one of our favorite types to fish here inside the bay. Another great way to catch these fast feeding fish is using some of the poppers or plugs. This means casting quite a bit with great action and fast action. There’s been some roosterfish showing up over on the south side of the bay along the Mismaloya area and Quimixto area. Overall south side Of the bay is seeing some great action and getting better overall for fishing. The north side of the bay is strong with yellowtail action, Spanish mackerel and some mahi-mahi. There’s even been a few sailfish caught over on the north side of the Bay. From Bucerias all the way out to Mita. The fishing is improving and the water temperature has moved up a couple of degrees 78 deg. since last February’s fishing report. This is really good news as the warm water starts to move in all kinds of bait and the fish are coming in after the baits. The offshore action here in Puerto Vallarta still seeing some tunas at the Corbetena 30 to 40 lbs. along with some of the large pargo also known as huge red snapper. Most of the folks know these as the big red snapper which are really great to eat and incredible fun to catch. Mixed in with these fish at the Corbetena island we have been seeing some sailfish and striped marlin. Now that the sardines are schooling we will be seeing more schools of striped marlin in our area. The Morro fishing has been super on some days. Best times are during slack tides. Morro we like to use the reef just behind it which is still producing all kinds of great fish. The reef has some great bottom fishing there with lots of schools of the yellowtail and often mahi-mahi action as well. The snapper fishing is usually good at this reef. We like to use this as our favorite fishing spot when we want to catch a lot of fish for our clients. Good action from Mita towards Lo de Marcos still having good fishing action. We’re seeing some sailfish and a few Marlin in that area. The March winds are bringing in more bait for us along with some warm water which is going to increase the fishing chances s on the north side. Even further up north we’ve even seen some schools of red snapper along with the Yellowtail chasing the large schools of sardines in the area. These trips are around eight hours and you need to be sure and bring plenty of live bait. 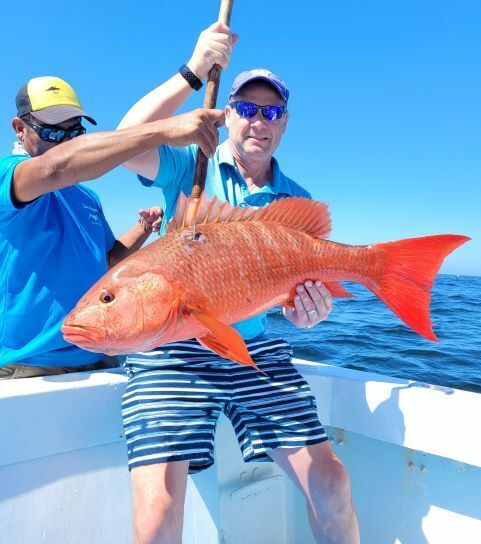 All the fishing action here in Puerto Vallarta has really heated up for the month of March fishing in Puerto Vallarta. The fishing boats here in Puerto Vallarta will be seeing more fish per fisherman and more bait here in beautiful Vallarta. This is a great time to be here as the whales are still here playing inside the bay and just slightly outside the bay. 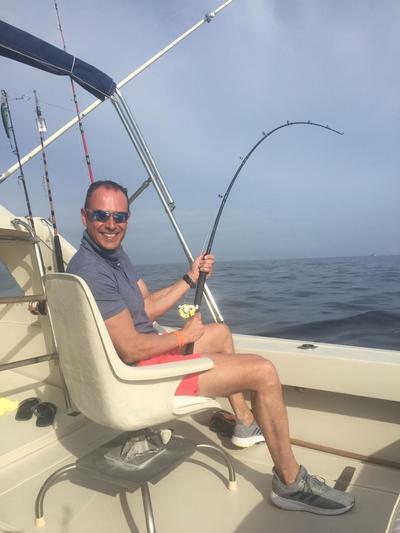 The Puerto Vallarta fishing is just incredible. So coming down on down with us and enjoy the great fishing conditions we have in Puerto Vallarta, Mexico.